Drinkwater Products offers any of the chemical sticks below to meet your specific requirements. Soap sticks in general are designed to foam the water in the tubing, therefore lightening the fluid column and allowing the formation of pressure to unload the fluid from the well. Oil foam sticks are designed on the same principle as the soap stick, but used in wells that have a fluid column composed of 75% condensate or greater. Acid sticks are water-soluble sticks that release acid down-hole in water injection wells to remove carbonate scale and rust deposits. Acid sticks are a combination of acid, surfactant, dispersing agent, iron sequester, and inhibitor in solid form. Acid caps are 100% active water-soluble tube sticks that release acid down-hole in producing and water injection wells to remove carbonate scale and rust deposits. S&B pellets are water-soluble pellets designed to release acid down-hole in water injection and producing wells to remove carbonate scale and rust deposits. S&B pellets are a combination of acids, surfactant, dispersing agent, iron sequester and inhibitor in a solid pellet form. Drill bit sticks are condensate-dispersible water-soluble sticks containing a combination of surfactants and friction reducer. Drill bit sticks will perform in the presence of salt and fresh water systems. SAPP Sticks (sodium acid pyrophosphate) are condensate-dispersible, water soluble sticks containing a combination of surfactants, blended with a sodium acid pyrophosphate. SAPP Sticks will perform in the presence of salt, or in fresh water systems. 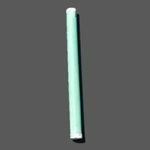 Gas sticks are water-soluble solid sticks designed to generate gas and provide agitation energy to the foaming agent in a totally dead watered-up gas wells. The gas stick is a water soluble tube containing a surfactant foamer and a gas producing agent. Fizz foam sticks are water-soluble sticks containing a combination of surfactants and additional additives to self activate and speed up the foam stick dissolving rate and activation of the foam process down hole in the existing produced fluids. The self activating additive and surfactants react immediately upon contact with water and creates an effervescing effect to help establish the foam column required to help remove the fluids from down hole in most cases. 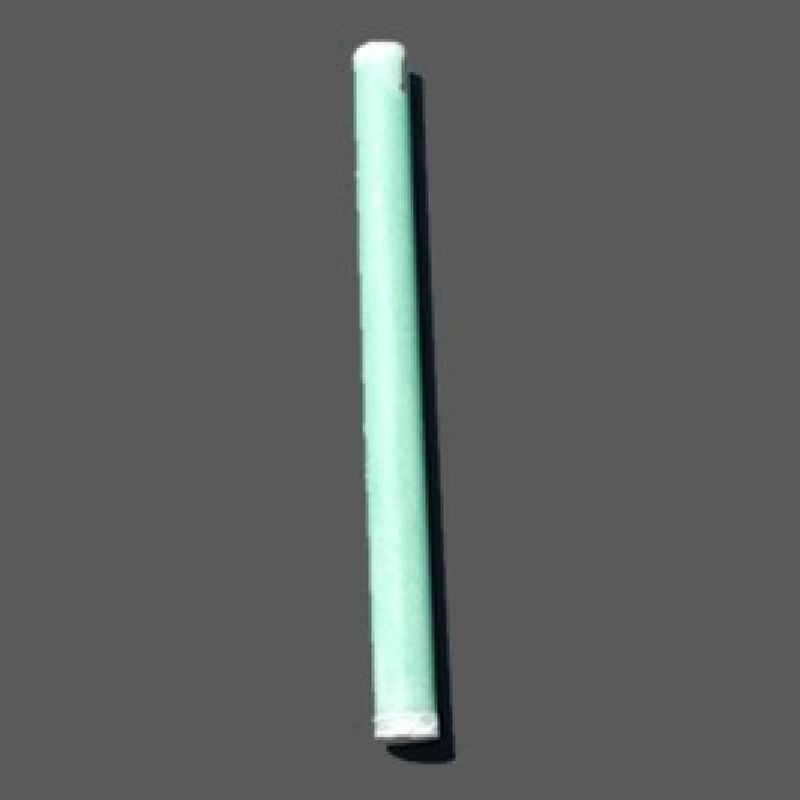 The fizz foam stick has been found to be effective in speeding up the foaming process in wells with bottom hole temperature below 90 degrees Fahrenheit. In addition to the effervescing effect of the fizz foam stick, natural gas bubbling through the water-column and surfactants produces foam, which can help remove water from watered-up gas wells. Corrosion inhibitor sticks are available in both oil soluble and water soluble. They are primarily used to control common corrosion problems found in producing oil and gas well systems. Paraffin inhibitor sticks are oil-soluble sticks that release paraffin inhibitor to help reduce paraffin deposition from crude oil in production systems. Paraffin inhibitor sticks contain a combination of micro-crystalline wax and a special crystal modifier. These ingredients contribute to an effective inhibiting process on certain ranges of molecular weight paraffins. Salt sticks help keep the salt in solution by salt cheleating action and helps prevent this build up from occurring or greatly reduce the situation. Scale inhibitor sticks will prevent carbonate types of scale from depositing in casing, tubing and flow lines. SI-403 is a blend of surfactants that produces high, stable foams in all brine and a wide range of pH’s. In addition to brine contamination SI-403 will tolerate up to 10% oil, a moderate amount of amine-based corrosion inhibitors, and 50% clay solids and still perform as an effective foaming agent. SI-403 is highly biodegradable. Well cleaner sticks help with pressure build up, loss of vacuum, decrease injection rates and more. SIP-100 exhibits what is known as the “threshold effect”. This happens when very small amounts of a scale inhibitor (SIP-100) can help keep large quantities of scalants in solution. The phosphonates in SIP-100 are very effective threshold scale inhibitors. Data shows that one molecule of phosphonate can inhibit 5,000 to 10,000 molecules of scalant. This appears to be done under present theory by the absorption of the threshold agent (SIP-100) on the “growth sites” of the scalant crystal; thereby the growth pattern is altered so that crystals are formed more slowly and are not as likely to clump together to form scaling problems on equipment. They can be considered as distorted. CIP-25 pellets are water-soluble pellets designed to release corrosion inhibitor and control corrosion from various sources. CIP-25 pellets exhibit surface activity which aids in solids removal and control while helping the breeding grounds for micro-organisms. CIP-25 pellets contain ammonium quaternary salt in pellet form. Antifreeze inhibitor sticks are special water-soluble sticks containing a combination of stabilizers and glycol-based antifreeze. Natural gas bubbling through the fresh water-column, glycol-based antifreeze and stabilizers produces an aqueous product, which can help reduce the freeze point of the produced water in the production string, flow lines and surface equipment. H2S scavenger sticks are an organic sulfide scavenger designed to help down-hole with hydrogen sulfide that is entering the well from the bottom perforated area and creating problems for the well system. CORSCAV sticks consist of a blend of a catalyzed sodium sulfite type oxygen scavenger and ammonium quaternary salt for corrosion inhibition, contained in a fast dissolving water soluble paper tube and dissolvable salt plug. Oxygen scavenger sticks are a catalyzed sodium sulfite type oxygen scavenger that is compatible with high hardness brines. Oxygen scavenger sticks help control corrosion caused by the presence of oxygen by absorbing and scavenging the oxygen out of the fluid sources contaminated. HA-FWF sticks are special foam sticks that contain 100% active surfactants, friction reducer and foam stabilizer in water-soluble tubes. Natural gas bubbling through the water column and 100% active ingredients produces foam which can help remove water from watered-up gas wells.